I have been keeping our dark native bees for over 25 years and started selective queen rearing about 10 years ago. Each year I try to over winter more colonies of bees than I need, and keep only the best that have over wintered, and selectively requeen those that do not come up to my criteria. 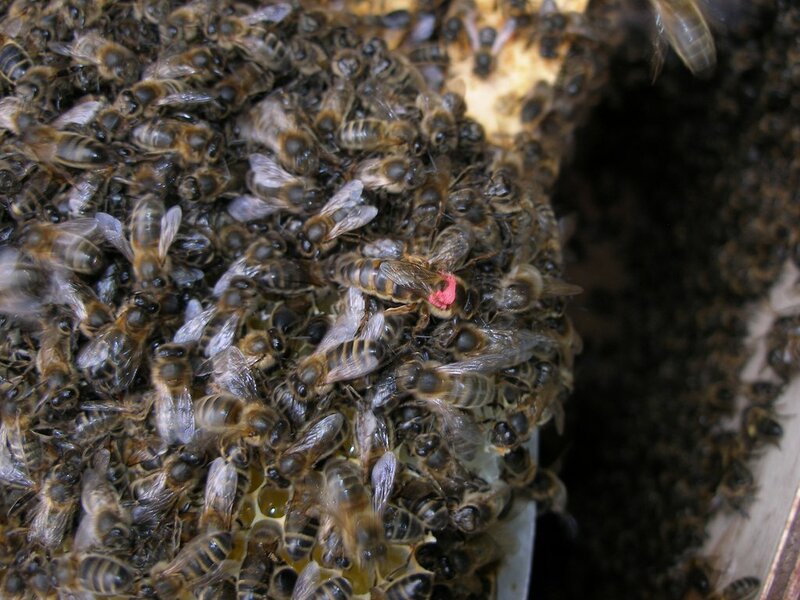 They are the Native Irish Bee, apis mellifera mellifera and my selection program is based on the ability of my bees to over winter strongly, disease resistance, docility, productivity, colour and more. My home and main mating apiary is just on the outskirts of Dublin city with the bees foraging over the extensive area of the Phoenix Park and the Liffey Valley, including the gardens of suburban Castleknock. 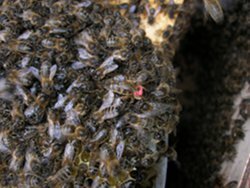 My queens are naturally open mated, but I have been flooding the vicinity of my apiary with drones from my own native dark bees. © 2011-2012 Dublin Beekeeping Services. Web design by Damien Carbery.